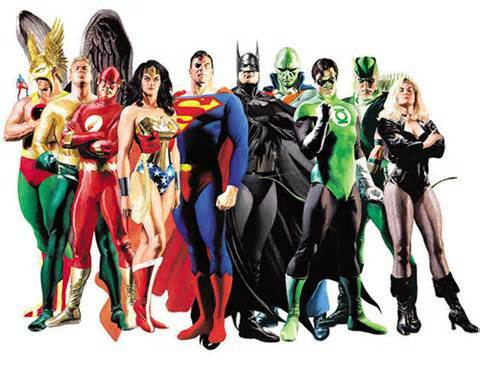 According to Wikipedia, “A superhero is a type of stock character possessing “extraordinary or superhuman powers” and dedicated to protecting the public.” Some of these superheros require costumes to achieve their powers, or magic devices, such as Superwoman’s mystical rope that can entangle targets with ease. Some superheros lose all power, such as Superman with kryptonite. In some ways, we are very similar to superheros. We fight evil in our bodies by eating the right foods, taking care of ourselves, exercising and getting good rest. Our kryptonite is daily toxins, including toxic air, toxic foods, toxic stress and not giving our bodies a chance to rest. In order to save the world, we have to save ourselves first. The opposite of kryptonite would be something that makes us powerful, like spinach did for Popeye, who first came to life back in 1929. Popeye could be at his weakest, most vulnerable self and thanks to Olive Oil, who would stuff a can of spinach down his throat, he would suddenly spring back into action, full force, as if nothing had ever harmed him in the first place. If only we lived in a cartoon world, we could easily overcome sickness and disease by avoiding kryptonite, eating spinach and carrying a mystical rope, while wearing daring outfits and never thinking twice that it happened to be the same thing we wore yesterday. Instead, we have to watch what we eat. And even then, because of toxins abound, genetics, or simply luck of the draw, we’re struck with a disease or illness that no can of spinach can bring back what we once perceived as feeling normal. It’s our weaknesses that can bring about discoveries, just as Popeye realized that a can of spinach could revitalize his health. We too can figure out what helps us by trying new things when we are weak. Although a Superhero Supplement doesn’t exist, one that springs us back into action as if nothing had ever gone wrong, we do at least have plenty to choose from that can do very specific things. We have supplements like lactoferrin that fight bacteria and as an iron-transmitter, can help with diseases like Anemia. We have supplements that do what medicine doesn’t, like removing scar tissue for Pulmonary Fibrosis. We have supplements like Coenzyme Q10 that can slow the progression of Parkinson’s and ALS. And we have supplements that reduce toxic medals such as N-acetylcysteine. We even have supplements such as milk thistle which can help bring a damaged liver, from alcohol, toxins, or disease, back to normal. Read on for other superhero like supplements and you’ll be surprised just what’s out there to choose from when illness or disease strikes you and you wish you knew where you put your red cape. Im very interested in ordering some for my very sore feet. I have been getting shots in them for my pain but I would like to try something natural. I think you would find great relief with the Serracor N-K and possibly adding the Serra RX80 as well. They are phenomenal anti-inflammatory products. I was personally surprised when my doctor told me I was low in Vit. D. I would have never thought. Been on supplements for several months now. Make sure to get your levels checked! You might be surprised.